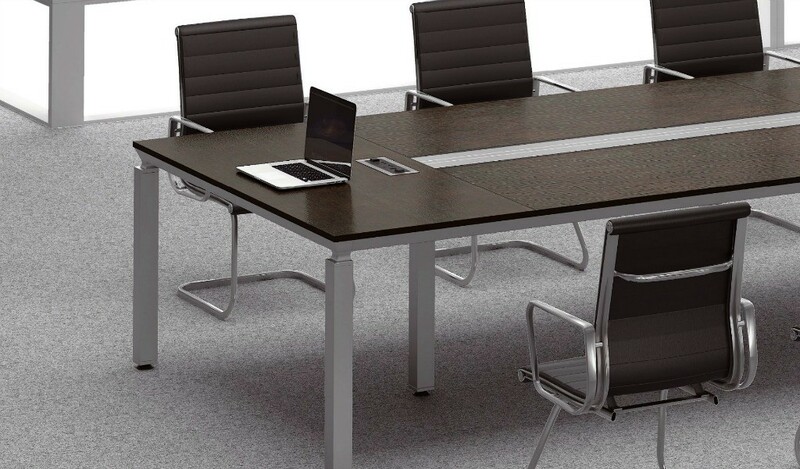 A contemporary 8 seater meeting table finished in rich coffee oak and charcoal gray laminate. 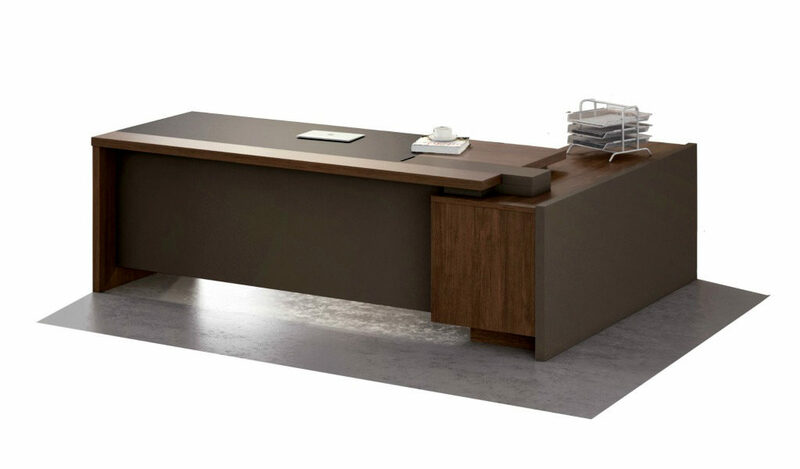 Includes inbuilt wire management panel on the desktop and privacy panel under desktop with solid oak finished base. The underside of the desktop is accessed through a door on the side of the base. A perfect choice for a medium sized conference room. 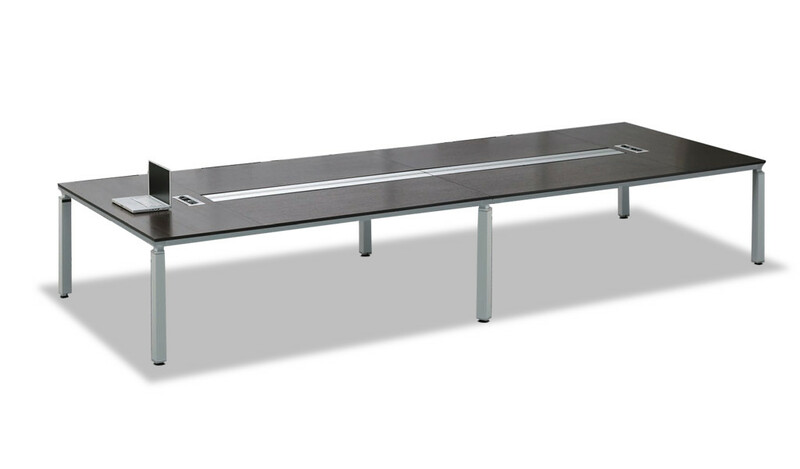 – A compact and elegant 8 seater table ideal for a small office or a small conference room. – 1. Meeting table with with inbuilt wire management panel on desktop. 2. Laminate covered base designed with access door for pulling your cables from the bottom. – Made using environment grade MDF and laminate. The E1 grade MDF is a superb highly durable material and a world standard for premium furniture while the laminate is from our carefully selected range of premium laminates with consistent color and grain structure. 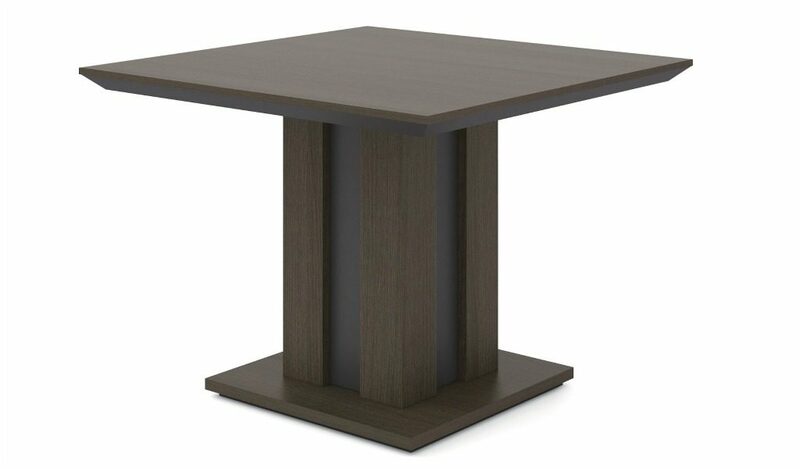 – An elegantly designed 8 feet meeting table finished in a combination of dark oak and gray laminate. 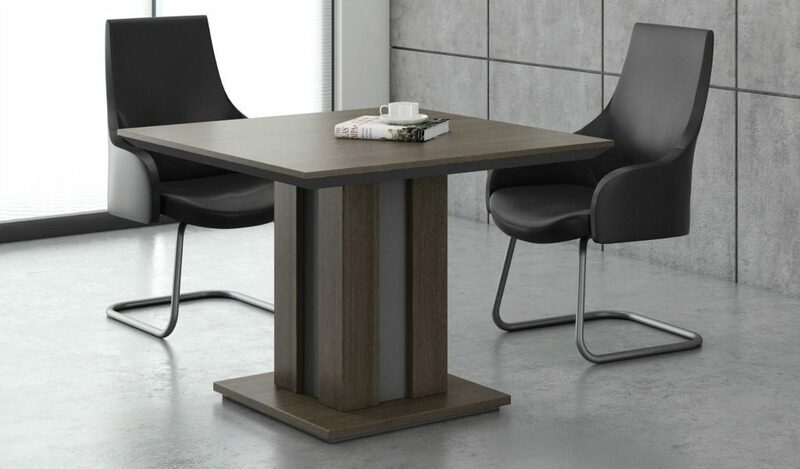 Perfect for a medium sized conference room this 6 to 8 seater table also includes an elaborate wire management provision with a wirebox on the work surface. The cables can be pulled through the base of the table which has an ingeniously designed access door for convenience. Built with top grade engineered wood and premium coffee oak laminate for a natural feel and luxurious looks. 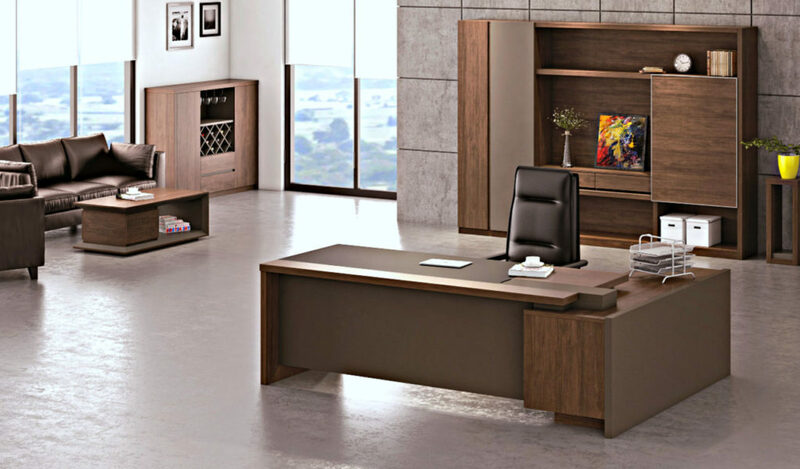 It is part of the Miro series from which you can choose an entire range of matching cabinets, larger meeting tables, office tables etc to create a complete office.